As an early education teacher, you’ll be entering a role with strong potential career growth which allows you to approach each day with a positive mindset. The sector has very low unemployment, so you’ll be safe in the knowledge your role is secure. Perhaps most encouraging is the fact that there will be an estimated 5,800 new job openings per year until 2023 – meaning there’s never been a better time to try and enter the field. As an Early Childhood Teacher, you’ll earn around $1,019 per week – working an average of 34.5 hours per week, which is less than the 40 hour a week overall job average. It’s a job you can enter and enjoy at any age, with many teachers in the 25-34, 35-44 and 45-54 age brackets. The general planning of the learning you’re going to implement. This includes both indoor and outdoor environments and generally incorporates a wide variety of equipment and materials that will help stimulate children and boost their development. Building up a child’s language, developing them through story-telling, role-play, singing and discussions held both individually and in group settings. Helping develop a child’s motor skills and social skills in line with the standard developmental milestones outlined by the Department for Education. Observing students and identifying those struggling to meet milestones, or those with emotional disturbances or ill health. Discussing a child’s progress with their parents, which includes parent teacher nights and parent interviews. Implementing or participating in community and family support programs aimed at developing a child’s skills or experiences. Often you may also help supervise student teachers to build the next generation of early childhood teachers. The main demands of the job that you need to be comfortable with are dealing with people face-to-face, which involves using empathy to understand the child or parent’s point of view and interact with them in a positive, constructive fashion. You’ll also need to be comfortable making decisions and leading children, taking action when needed and guiding young people. If you’re not used to responsibility, this is a role that will challenge you. However, training will help you prepare for the demands of the role. Will you be happy at work? While no one can guarantee happiness, it’s important that those entering this career are empathetic, people-focused and patient. If you enjoy working with children and want to make a real difference in lives, this could be the perfect job for you. With such a varied workload, every single day as an early childhood educator is different. You’ll be working directly with children, helping them develop during the most critical period in their lives. You’ll be responsible for their safety, their growth and also the person who spots and intervenes when a child is displaying signs of distress or retrogression others may miss. 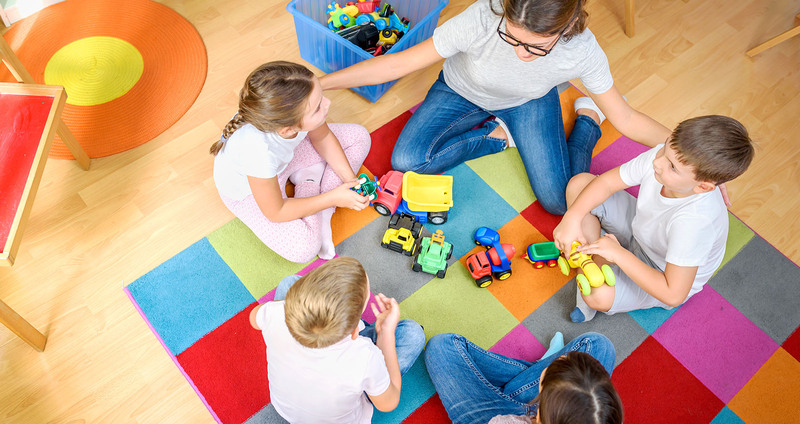 To begin training towards a career as an Early Childhood Teacher, you can start with our exciting Dual Qualification: CHC30113 Certificate III in Early Childhood Education and Care and CHC50113 Diploma of Early Childhood Education and Care. Gain the foundational skills required to help young children build the most important building blocks in their young lives. Craig is a copywriter working for Open Colleges. He's originally from the small city of Newcastle Upon Tyne in the UK, so he is enjoying exploring sunny Sydney. Craig's career passions include marketing, small business, tech, start-ups and leadership.